Next week, watch for the best personal finance books of 2017 and a surprise category. Seriously, stay tuned! 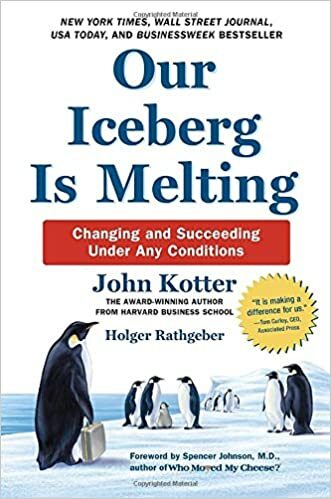 Why It's Worth Reading: I put this book in the #1 slot because almost all managers and the companies that they run have lost respect for, and capacity for, the kind of deep thinking that results in real breakthroughs. 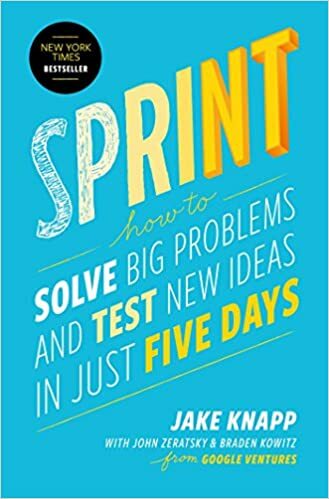 While rapid prototyping (see "Sprint" below) has its role, true innovation comes out of the quiet of solitude, not out of the noise of the open plan office, much less out of the increasingly ludicrous chaos of the Web. 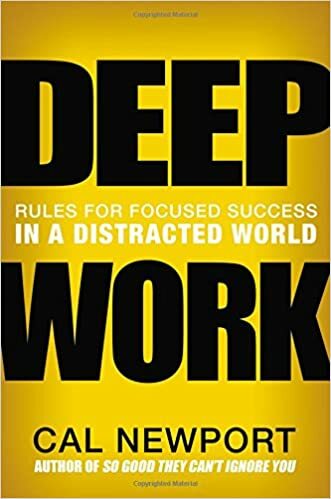 Best Quote: "The ubiquity of deep work among influential individuals it is important to emphasize because it stands in sharp contrast to the behavior of most modern knowledge workers-a group that's rapidly forgetting the value of going deep. The recent knowledge workers are losing their familiarity with keep work is well-established: network tools. This is a broad category that captures communication services like email and SMS, social media networks like Twitter and Facebook, in the shiny tangle of infotainment sites like buzz feet and Reddit." 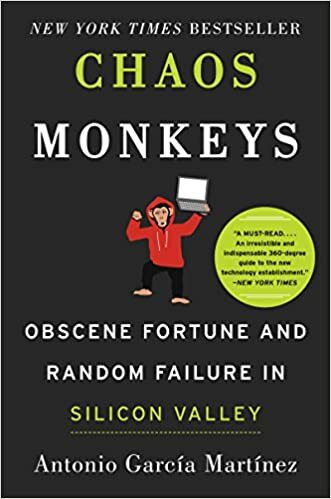 Why It's Worth Reading: I'm not sure whether this is exactly a recommendation, but I never thought I'd read a business book that made me want to take a shower after every chapter. I suppose that, depending upon your perspective, that might be a good thing? No, seriously, this book is fascinating and in-depth. And a bit creepy. Best Quote: "raising money well having a lawsuit over your head is like walking into a singles bar with a T-shirt announcing, 'I'm HIV-positive. How about you?' It doesn't bode well for your prospects. You can't not tell potential investors, although you can stave off telling them until their greedy little pens are hovering right over the dotted line -at which point you drop the bomb, and hope they don't run screaming." 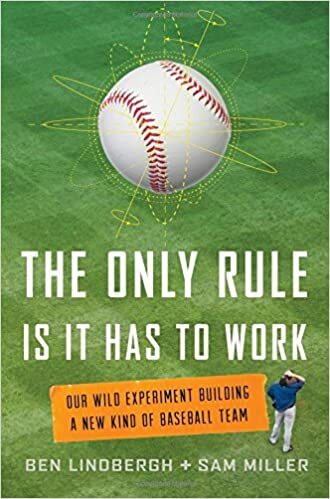 Why It's Worth Reading: While this book suffers (as does much of the genre) from oversimplification, it presents a solid and easily understood model for understand why some people work together while others don't. 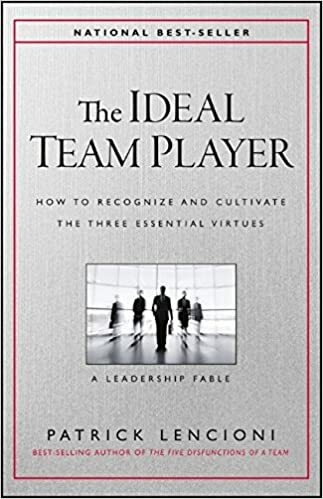 Best Quote: "For organizations seriously committed to making teamwork a cultural reality, I'm convinced that 'the right people' are the ones who have the three virtues in common-humility, hunger, and people smarts. I refer to these as virtues because the word 'virtue' is a synonym for the nouns 'quality' and 'asset,' but it also connotes the idea of integrity and morality. Humility, which is the most important of the three, is certainly a virtue in the deepest sense of the word. Hunger and people smarts fall more into the quality or asset category. So the word 'virtue' best captures them all." Why It's Worth Reading: You've probably heard about the concept of rapid prototyping for products. This book extends that model to the business itself. It's a fascinating read and an antidote to the tendency of businesspeople to overthink and overplan. Best Quote: "The sprint give us our startups a superpower: they can fast-forward into the future to see their finished product and customer reactions, before making any expensive commitments. When a risky idea succeeds in a sprint, the payoff is fantastic. But it's the failures that, while painful, provide the greatest return on investment. Identifying critical flaws after just five days of work is the height of efficiency. It's learning the hard way, without the 'hard way.'" Best Quote: "And they lie. They live like you can lie only if you believe the lie, like you lie when you have to believe the lie, when your career depends on the lie, because the lie is the only thing that keeps you running and lifting and writing emails begging strangers to take a chance on you. They blame injuries for every bad stat line but swear they're healthy now, or they blame coaches for tinkering with their swings but swear their back to form. They promise philosophy like online dating profiles promise 15 years ago bodies these candidates are all flawed, and It rarely takes more than two minutes online to find that flaw: the suspension for throwing a bat at a pitcher, the disastrous season in a lower indy league, the mean-spirited Twitter account that former teammates made to the parody the guy, the five years of inactivity, the shoulder surgery that preceded a release from affiliated ball." Why It's Worth Reading: While perhaps just a bit twee, this parable does make some important points about how people adapt (and fail to adapt) to catastrophic change--a skill that's likely to prove particularly valuable over the next four years or so. Best Quote: "Two hundred sixty-eight penguins lived in the colony. One of them was Fred. Fred looked and acted much like the others. You would probably describe him as either "cute" or "dignified," unless you really dislike animals. But Fred was different from most penguins in one very important way. Fred was unusually curious and observant. Other penguins went hunting for creatures in the sea-quite necessary, since there was no other food in Antarctica. Fred fished less and studied the iceberg and the sea more." Why It's Worth Reading: It's a truism that management is a people skill. However, 99% of management "science" is how managers can attempt to control, motivate and inspire others. 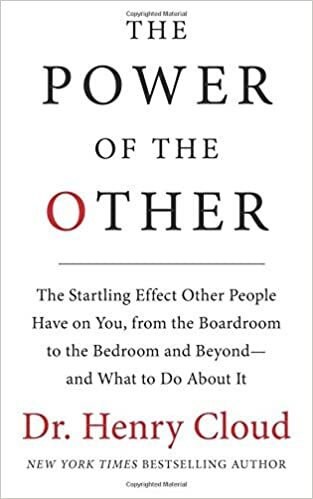 This book takes the opposite approach: that the people who surround you will likely have a greater influence on you than you have on them, even if you're in management. Best Quote: "How many times have you seen or experienced the power that a boss has-either to help you go to stifle or wreck your vision? A direct report, a coworker, a partner, a fellow board member can help you or hinder you. How many times have you seen the power of others to get in the way? How many times have you seen one person ruin the atmosphere or culture of a team, a circle of friends, or a family? And how many times have you seen this situation, or your life, get turned around because the right person showed up? Other people play a role at every step. The influence you as much as you influence them. How are you manage this power is the difference between winning and losing, between the succeeding in failing to thrive. Whom you trust, whom you don't, what you get from others, and how you deal with them will determine everything. You can't master people, but you can become a master at choosing and dealing with people."